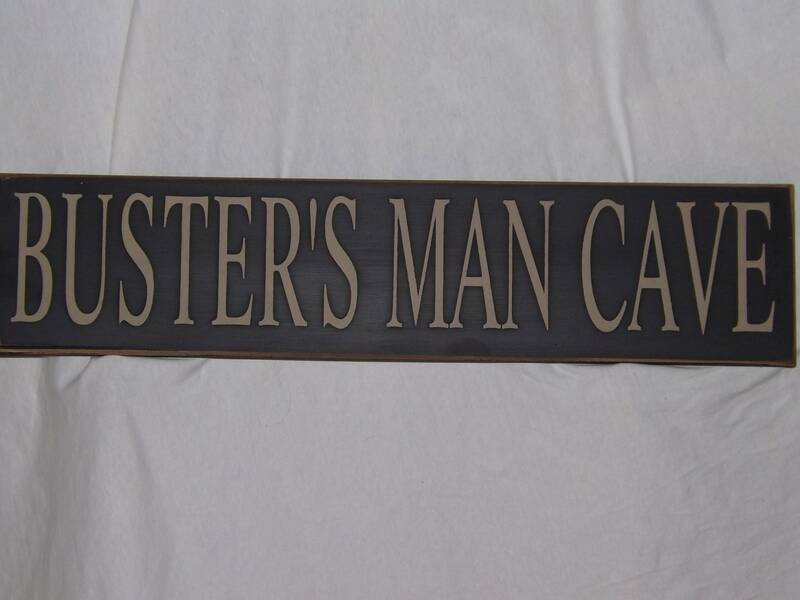 Our custom Man Cave sign, is a perfect addition to his man room décor, give a gift of a personalized man cave sign. 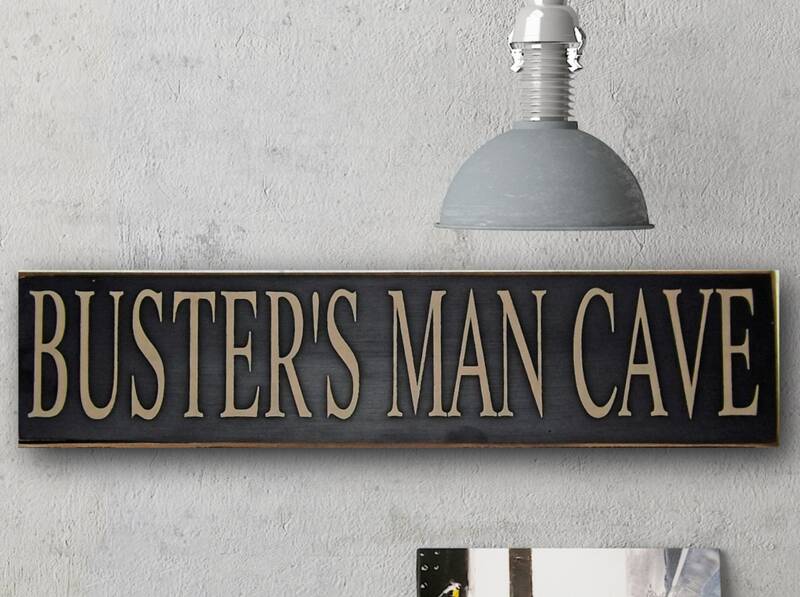 Personalized Mancave Signs are always a hit for gift giving making it the perfect man gift or simply add it to your bar décor. Color Hunter Green, Black, Brown, Burgundy or Navy Blue. 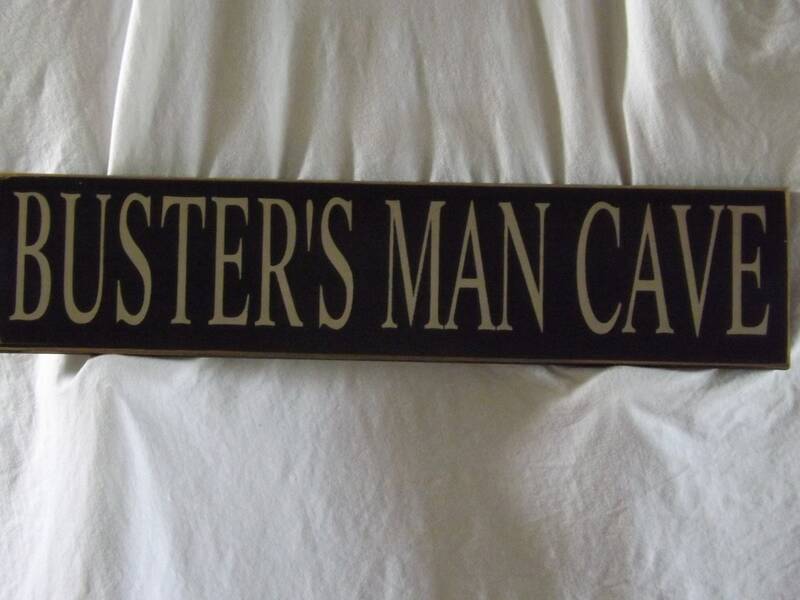 Please specify name in comment box (note to seller) at checkout. 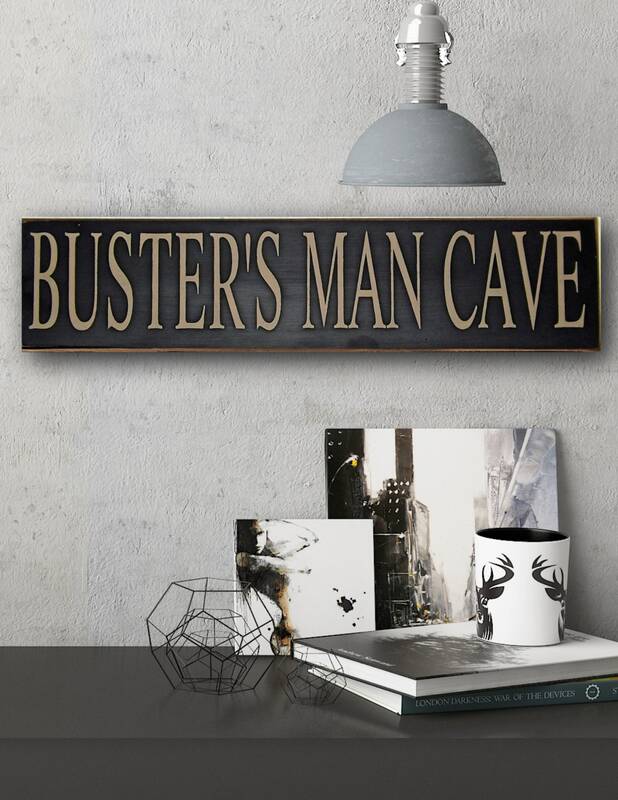 The perfect gift that can be used year round. 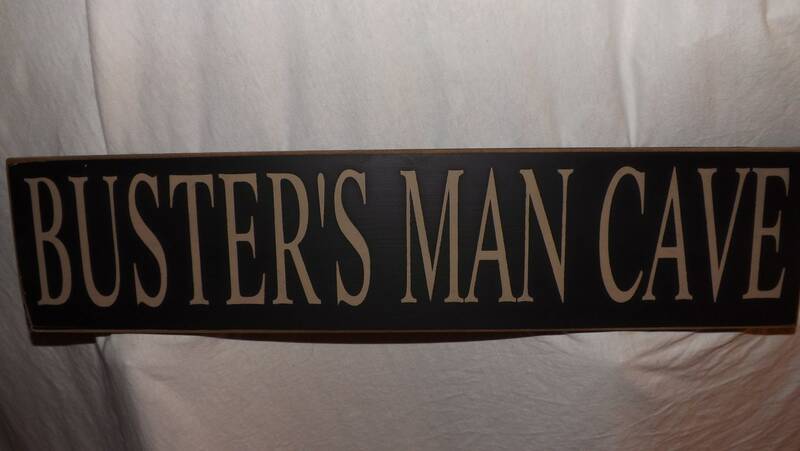 Here's a suggestion for an inexpensive gift, add a deck of cards, a 6 pack of beer etc..
Our signs are hand made out of solid wood, each sign has a saw tooth hook for easy hanging. Thanks for stopping by and have a blessed Day. 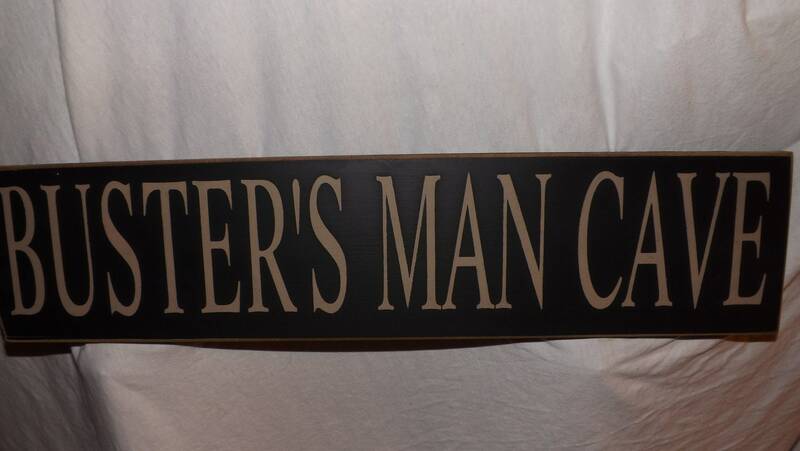 Don't for get the second sign, an additional signs ship for $3.25 each when order more than one sign. 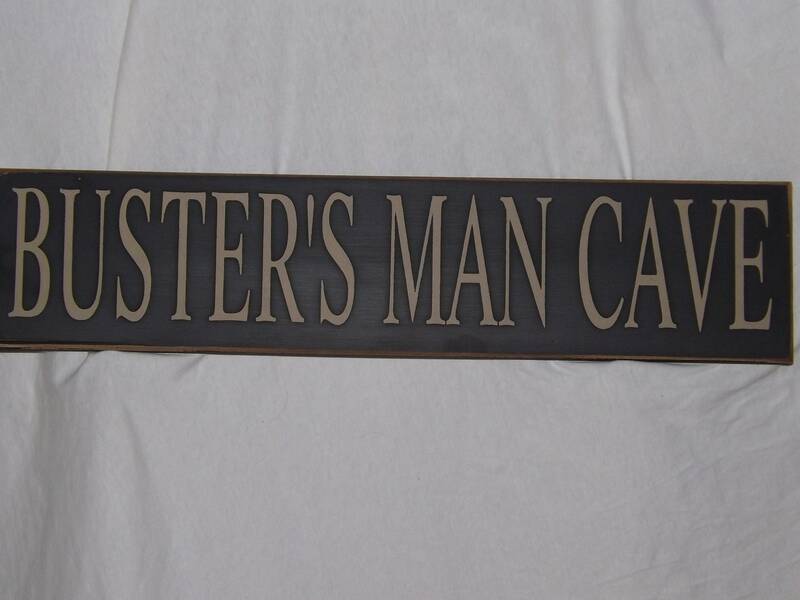 Please visit our store at www.etsy.com/shop/oakridgeprims We have lots of great signs for all occasions. If we don't have what you want, we'll make it for you.